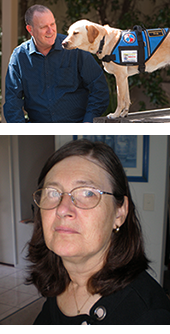 Dementia Australia congratulates Phil Hazel from New South Wales and Eileen Taylor from Queensland, on their recent appointments as Chair and Vice Chair of the Dementia Australia Dementia Advisory Committee. Phil and Eileen where elected by members of the committee in November this year. Both bring valuable professional and life experiences to their new roles and Dementia Australia is excited to be working with Phil and Eileen in this capacity. Speaking of his new role, Phil said that “one of his main priorities as incoming Chair is to ensure that general practitioners are better informed about dementia”. As incoming Vice Chair Eileen said that “she was looking forward to working with the committee to make it more pro-active as a catalyst of change, through pro-active committee initiatives that support people living with dementia, their carers and friends”. 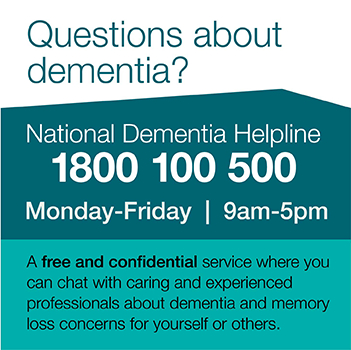 The Dementia Australia Dementia Advisory Committee is made up of 12 people who have dementia and who want to be actively involved in advocating for the needs of people with dementia through Dementia Australia. Committee members provide advice on policy and advocacy work, national programs, and work to promote dialogue between those living with dementia and service providers, with a view to promoting a better understanding of their social and care needs.